What if the Capital of Missouri was Dying of Thirst? Imagine the entire population of Jefferson City walking to the local buffalo pond every day to get a pot of water. This is the same pond where the residents bathe and wash their clothes as well as water their farm animals. Because of the polluted water, every child has a continuous stomach ache. 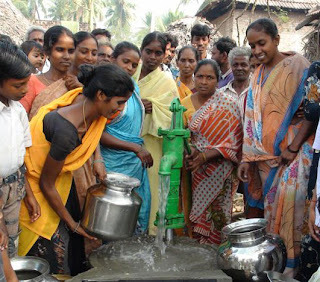 Cholera, Hepatitis, Typhoid and parasites could lurk in every sip. 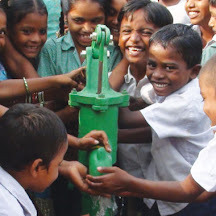 The 33 wells bored in 2010 and the 12 wells bored so far this year, are giving Indian villages what every resident in Jefferson City already had, safe water to drink. 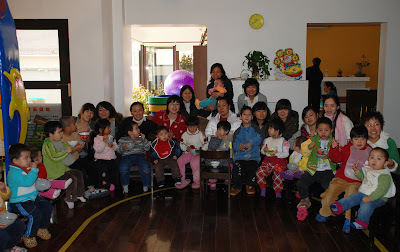 There were plenty of laughs and smiles when volunteers, staff and children had a party at Alenah’s Home in Beijing. For children who are recovering from surgery, a good laugh and a sweet treat can go a long way in making them feel better. Children’s Hope has 14 caring staff at the post-surgical foster home, but our many community volunteers make it a warm, healing place for the children. 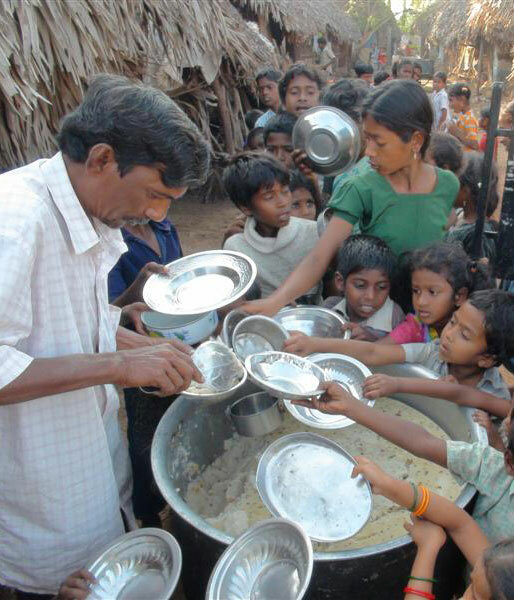 Over 3000 warm meals were served in January to children in the slums of Kakinada, India. 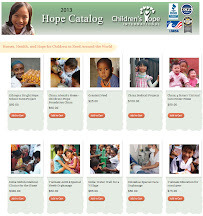 Children’s Hope donors made it possible to purchase the ingredients to cook 1300 pounds of Upma that was delivered to 23 feeding stations. Upma is made from rice grains, onion, peanuts and spices. It is a good hot nutritious meal for the kids. 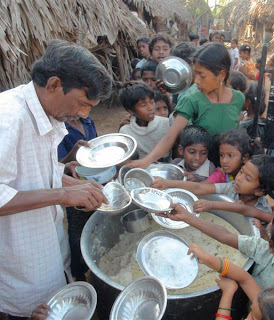 Our partners in India report, when they drive into a village, the children come running with a plate.